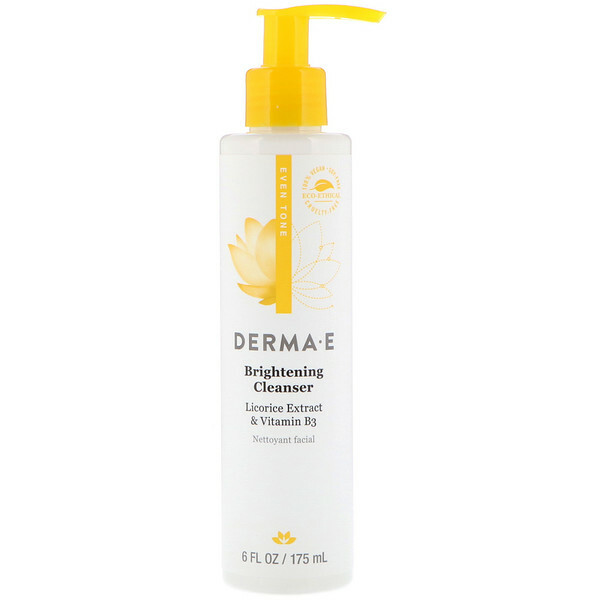 This sulfate-free, pH balanced cleanser removes makeup and impurities to promote the appearance of a more visibly radiant complexion. Illuminating Licorice Extract and Madonna Lily bring brightness back by helping to decrease the appearance of dark spots. Vitamin B3 and C helps to combat skin dehydration and cleanse away the look of dullness for a healthy glow. 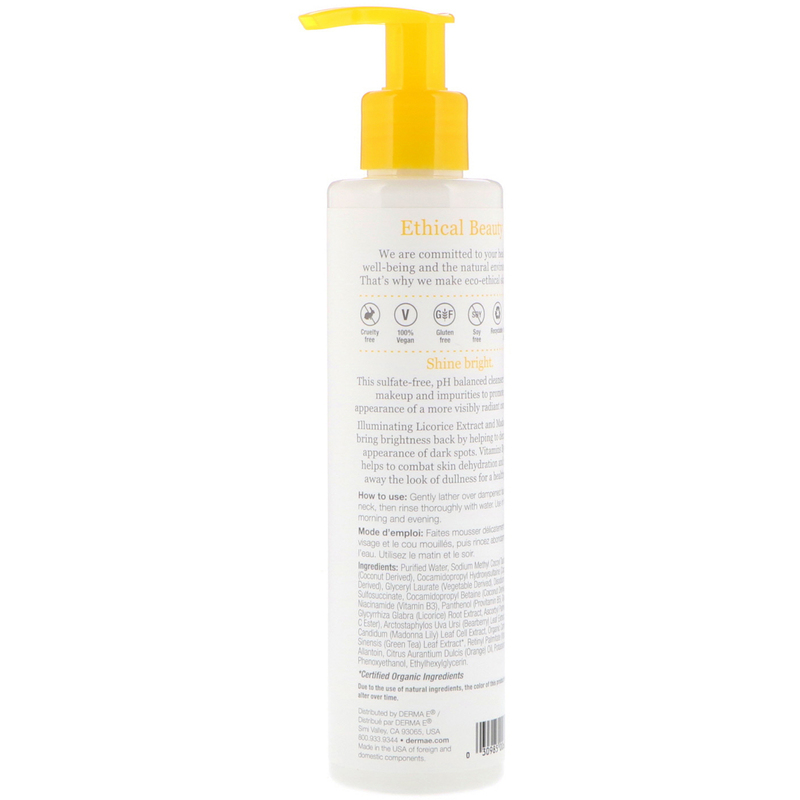 Gently lather over dampened face and neck, then rinse thoroughly with water. Use in the morning and evening. Purified water, sodium methyl cocoyl taurate (coconut derived), cocamidopropyl hydroxysultaine (coconut derived), glyceryl laurate (vegetable derived), disodium laureth sulfosuccinate, cocamidopropyl betaine (coconut derived), niacinamide (vitamin B3), panthenol (provitamin B5), glycolic acid, glycyrrhiza glabra (licorice) root extract, ascorbyl palmitate (vitamin C-ester), arctostaphylos uva ursi (bearberry) leaf extract, lilium candidum (madonna lily) leaf cell extract, organic camellia sinensis (green tea) leaf extract*, retinyl palmitate (vitamin A), allantoin, citrus aurantium dulcis (orange) oil, potassium sorbate, phenoxyethanol, ethylhexylglycerin.